For close to a decade, the Chileans wandered in the wilderness looking for an identity. What eventually followed was perhaps the most entertaining and successful football in their nation’s history. Now they run the risk of staring into football’s great abyss once again. As Arturo Vidal found the back of the net in the 85th minute against Peru in Matchday 10, it liberated the Chileans from further anguish. They could celebrate three points for the first time following the 4-1-victory away at Venezuela in Matchday 6 back in March. 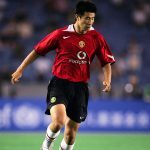 Something has soured with the nation that took the footballing audience’s breath away through their helter-skelter style of attacking football, and take-no-prisoners attitude to the game. A team in which the will to win overtook the fear of losing seemed a mere shadow of its former self. As Chile hung on for a draw away at Colombia, they go into the home fixture against Uruguay facing a date with destiny. Imagine Ernest Hemmingway picking up his pencil for the first time, Vincent van Gogh staring into his first blank canvas, or Amadeus Mozart writing his first notes. One is forgiven for believing that a footballing equivalent occurred when Marcelo Bielsa took his first steps onto the training pitches with the Chilean national team in 2007. Chile had seen their national team fail to qualify for two World Cups and still chased the looming shadows of the Salas and Zamoranos of yesteryear. Though Chile had the talent, they lacked the direction. A nation looking for its identity found solace in one of our time’s most inspirational coaches. The signs of the Chilean revolution, however, would not occur with Bielsa’s appointment. The summer of 2007 will perhaps go down as the start of the team that would go down in South American football history. The semi-finals of the under-20 World Cup is commonly referred to as “that night in Toronto” as Chile and Argentina clashed together in the Canadian metropolis. A Chilean side featuring names such as Alexis Sánchez, Arturo Vidal and Gary Medel had exhilarated the audience with play consisting of high energy, flair and pure footballing passion. Against Argentina, however, their world came crashing down. Medel was sent off after 15 minutes, Dagoberto Currimilla (currently at Union Española in Chile) followed suit an hour later. The Chileans felt as if they could not get away with anything while the Argentines were allowed anything and everything by referee Wolfgang Stark. The team featuring the likes of Sergio Agüero and Ángel Di María would race to a 3-0-win, and the Chileans were outraged. So much so the officials had to be escorted off the field in order to avoid the fury that had overtaken the players. The Chilean fury was lit, and as Marcelo Bielsa assumed the position as national team manager, a perfect storm was brewing in the west of South America. The role of underachiever, doomed to always obey the powers of Brazil and Argentina, would be something the Chileans banished. Under Bielsa, they were instructed into running their opponents into the ground, and then run some more. The almost mechanic-like ambush of red jerseys swarming the opposing half would become the trademark of a Chilean side looking to avenge their loss in Toronto, and assume the world’s grandest stage. Bielsa, commonly referred to as El Loco (The Madman), became the symbol of their movement. In fact, the Argentine became a folk hero to the point that he became a national symbol. Politicians would do their best to get him on their side, knowing that if they could show that Bielsa trusted them, then surely the Chilean people would follow. What was certain was that the players would follow their leader, and Bielsa would become the nurturing father to a golden generation Chilean football had never seen before. 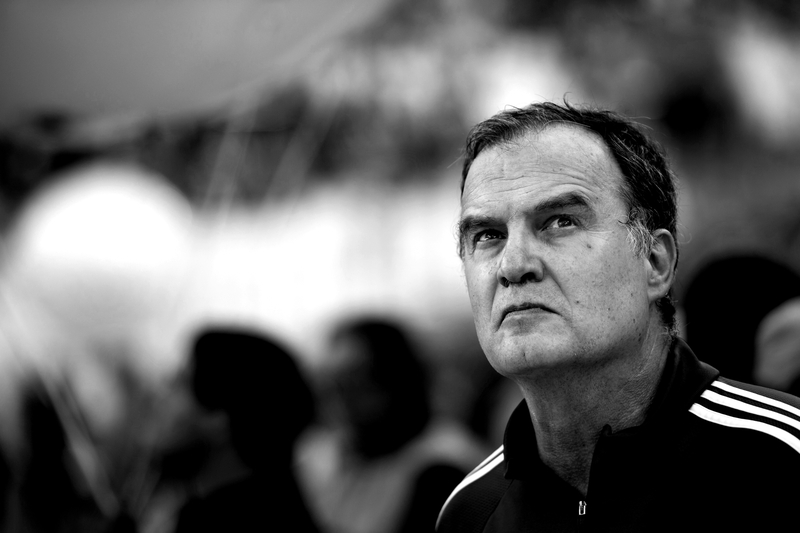 “A man with new ideas is mad – until he succeeds,” Bielsa said of his philosophy. When he, in typical fashion, quit suddenly as Chile manager in 2011, there was a sense of him not having finished his job. Though Chile had looked like a nation reborn, their leader left without taking them to the promised land. What Chile would later learn was that the morals, values and philosophy Bielsa had installed in them would take them to heights never seen before. And it would be done through his finest disciple. Claudio Borghi failed miserably as Bielsa’s successor and simply could not get the potential out of a crop of players reaching the zenith of their careers. 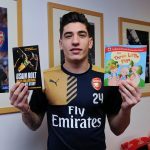 Arturo Vidal was perhaps the world’s most sought-after midfielder, Alexis Sánchez had just signed for Barcelona, and Gary Medel and Mauricio Isla were becoming vital parts to their team. Jorge Sampaoli had also proven to be a fruitful manager at Chilean side Universidad de Chile. Jorge Sampaoli had also proven to be a fruitful manager at Chilean side Universidad de Chile. The eccentric, sometimes maniacal, manager had turned La U into a South American superforce and dominated against expected greater opponent. His style? A Bielsa blueprint. And knowing Sampaoli’s greatest idol, it would come as no surprise why he became the man to lead Chile to glory. In his early days of coaching, Sampaoli would record Bielsa speaking about his philosophy and the way he wanted football to be played. Sampaoli would listen religiously to Bielsa’s word. It would become an obsession to follow in the footsteps laid by his hero. It would reach the stage of almost, and perhaps fittingly, complete madness. Sampaoli coached Peruvian side Sporting Cristal in 2007, and following a humiliating loss to Mexican side Club América he simply could not live with the shame he carried. He sat down and wrote a letter to Bielsa, apologising for not having been able to defend the values, ideas and philosophy taught to him by El Loco. In 2012, this was the man Chile elected to rekindle their fury. This time, Sampaoli would have no reason to apologise to his hero. As Sampaoli came of age, his Chilean players followed. His frequent pacing down the touchline, the screaming, the wild celebrations could only be matched by the intensity he brought out of his players. 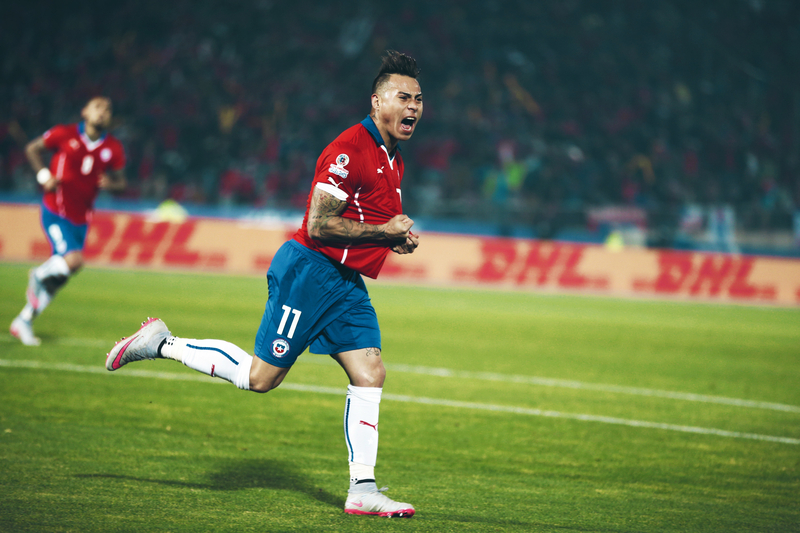 Eduardo Vargas, Charles Aránguiz and Marcelo Diaz, all players under Sampaoli at La U, would complete the Chilean side and set the pace for a series of historic events for the Chileans. In 2014 they were a crossbar away from eliminating Brazil from the World Cup. If you ever wanted proof of the importance, ask Mauricio Pinilla, the man who smacked the crossbar for Chile. Following the tournament, he decided to tattoo the situation on his body with the somewhat poetic caption “one centimetre from glory” beneath it. In 2015, however, no centimetres would keep Chile away from finally being crowned kings of their own continent. As Alexis Sánchez chipped the ball past Sergio Romero to win the Copa América on home soil in 2015, the culmination of Chile’s golden generation was for all to be witnessed. They had gone 99 years waiting, hoping and believing they would do it. Following the principles installed to them by Bielsa and evolved under Sampaoli, they had reached the promised land. Chile were no longer the great underdogs; they were no longer the nation that would combust under the noise of a referee’s whistle and they were no longer talking about “that night in Toronto”. Poetic justice would even have it be Argentina standing on the other side of the pitch. A year later, they would repeat as champions as a special Copa América was arranged to commemorate 100 years since the first tournament took place. Yet again, the opponents were Argentina. One would think this sort of triumph would only serve as motivation. But behind the glory, an inconvenient truth started brewing. Sampaoli left Chile in early 2016 following a dispute with the Chilean Football Federation. His replacement, Juan Antonio Pizzi, did not fall into the Borghi trap of trying to replace a successful philosophy. However, his greatest critics will say that it was perhaps the will of the players and their desire to win that took them to their second Copa América, not necessarily his guidance. Pizzi has since proved to struggle with his team selections and an overreliance on Chile’s greatest stars. One cannot blame Pizzi, because what else is there for him to do? 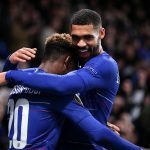 There is no golden generation awaiting their chance. Chile has placed their belief in names such as Ángelo Henríquez, Igor Lichnovsky and Bryan Rabello over the past couple of years, but they have all proven unsuccessful. Though they were successful in defending their crown, Chile were the oldest of the South American teams competing in the 2016 Copa América. Their average age, 28.60, was only beaten by Panamá whose squad’s average age was 28.65. Considering every Chilean star featured in that tournament (perhaps except 30-year-old Matías Fernández and 33-year-old Jorge Valdívia) they are now reaching a time of crisis. Sánchez has caught critique for being overplayed, Vidal has had to overcome seemingly severe knee injuries for two out of three tournaments the past three years, and they are yet to find an answer in defence. Though Chile have looked formidable in tournaments, they are facing an undefeated opponent in Father Time. Not even fury will overcome that. The World Cup qualifiers started off with a win over Brazil but they have since seen losses to Uruguay away, Paraguay away and Ecuador away. They drew 0-0 at home to Bolivia, but after FIFA punished the Bolivians for fielding an unregistered player, the Chileans were handed all three points. That only puts the reigning Copa América champions in fifth place, which would mean they’d have to qualify through the playoffs. With tough away games coming up against both Argentina and Brazil, as well as tricky fixtures to comes versus Uruguay and Colombia, their backs are firmly against the wall. Perhaps they’ve become full. Could one blame them? They are the golden generation who finally got the job done. Who finally brought the Copa América trophy home. They have never been expected to win the World Cup, though some will always wonder what would have happened had Pinilla’s shot been struck that centimetre lower. The national jubilation for Arturo Vidal’s winner against Peru was perhaps one of jubilation, but also one of intense relief. Perhaps even a reminder of a time when a win against wasn’t expected. Failure to qualify for the World Cup would perhaps return Chile to a time they would like to forget about. The national jubilation for Arturo Vidal’s winner against Peru was perhaps one of jubilation, but also one of intense relief. Perhaps even a reminder of a time when a win against wasn’t expected. Failure to qualify for the World Cup would perhaps return Chile to a time they would like to forget about.